Gillian’s first novel for children, Space Demons, was published in 1986. It was immediately extremely successful, winning several awards and going into many Australian and overseas editions. Since then she has written over thirty books for children and teenagers, from very short picture book texts (Dog In, Cat Out) to challenging novels for young adults (Beyond the Labyrinth and Galax-Arena), as well as eight plays and many short stories. Gillian has won the Children’s Book Council Book of the Year twice, for Beyond The Labyrinth and Foxspell, and has had several books listed as Honour Books in the same awards, as well as many shortlistings for these and other awards. She has won the Festival Award twice (for Space Demons and Beyond the Labyrinth), the New South Wales Premier’s Award for Answers to Brut and the YABBA Award (a Children's Choice award) for Space Demons. In 1996 her stage adaptation of Galax-Arena won the AWGIE for Best Theatre for Young People, and a 1998 play of Each Beach was nominated for the same award. 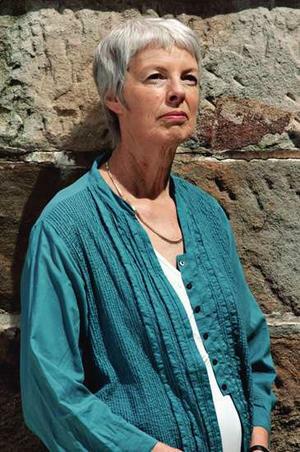 Gillian now writes as Lian Hearn, and under that name has published the internationally best-selling Tales of the Otori series, Blossoms and Shadows and The Storyteller and His Three Daughters.